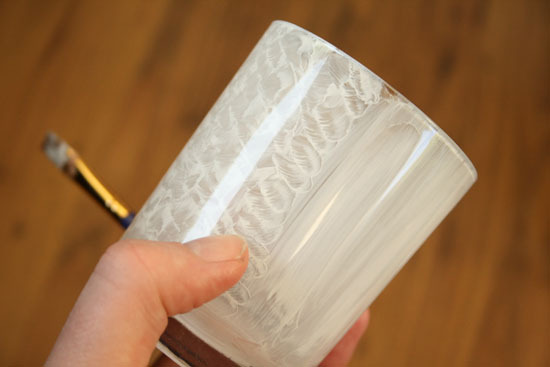 Find the full tutorial for this painted glass candle holders after the jump. . .
– glass candle holders or small glasses. I’ve got mine from the thrift store. 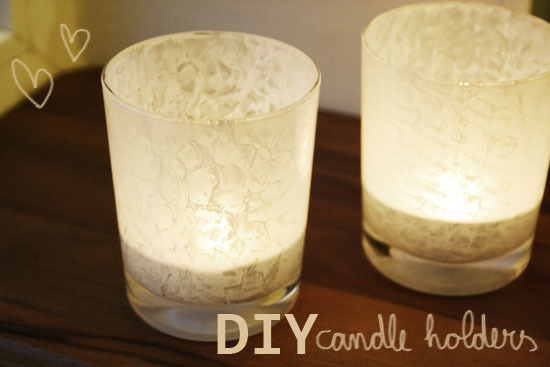 Mix some acrylic paint with water and paint the inside of the glass candle holders with the paint. Before the paint dries you need to create the pattern. You can do this by making small brush strokes in the wet paint. Let the paint dry.